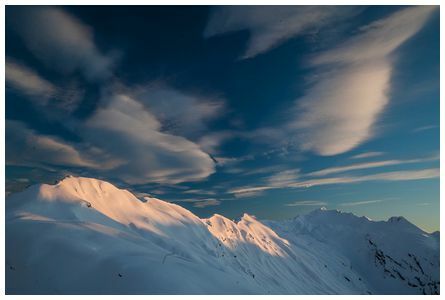 Another of Dave's stunning photographs from the High Noon chairlift at Turoa ski field on Sunday 26 October 2014. 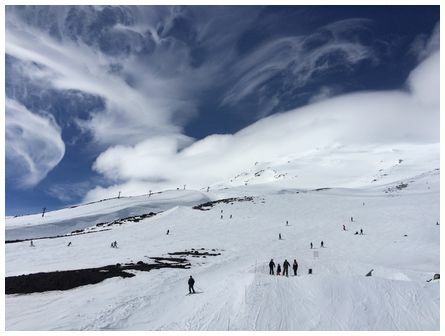 'High level turbulence created some interesting cloud effects as viewed from Turoa ski field. 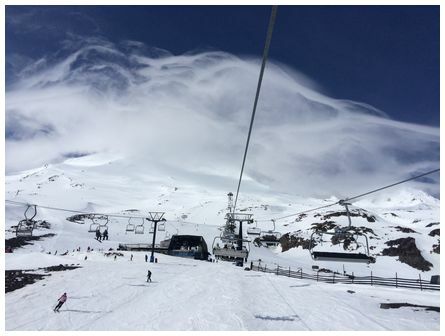 Photos taken with an iPhone 5s from the High Noon chairlift at approximately 15:00 on 26 October 2014' wrote Dave. 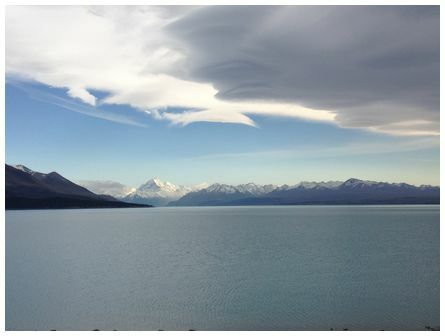 'Norwest wave cloud over Mt Cook and Lake Pukaki taken on an iPhone 4S at 10:22 on 16 October 2014' wrote Jude. Gilbert was Artist In Residence at 6000 feet asl at the Whare Kea Chalet above the Albert Burn Saddle above the East Matukituki valley. We showed one of his photographs on Photo of the Day on 8 October 2014. 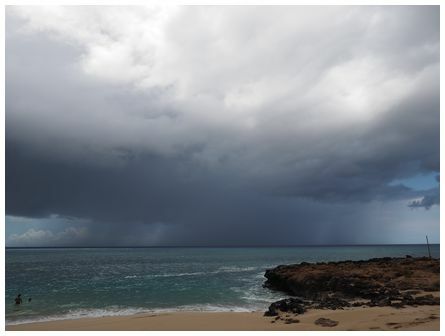 Here is another of Gilbert's photographs. 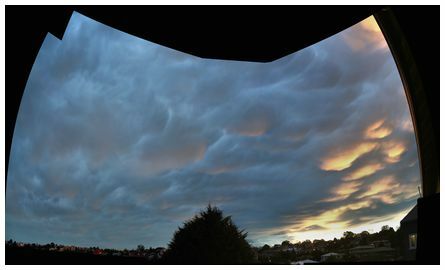 'Panorama of sunset over Dunedin. 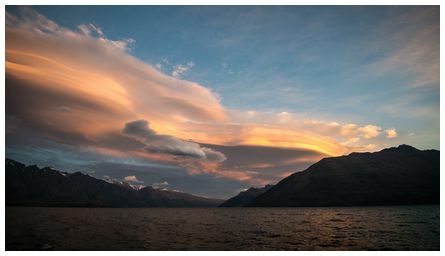 Taken at 19:40 on 16 October 2014 with a Canon 350D and stitched with Microsoft ICE' wrote Andrew.